Since Amanda had to work today, it was up to me to figure out what I was going to do. While having breakfast this morning, I figured I would head up on the Uncompahgre Plateau to explore a few roads I haven’t been on yet. I started out on Divide Road and made a large loop all the way back home. Here’s a few pictures from my day. On Saturday, Amanda and I headed a little south to Ouray and then proceeded up Camp Bird Road and into Yankee Boy Basin. 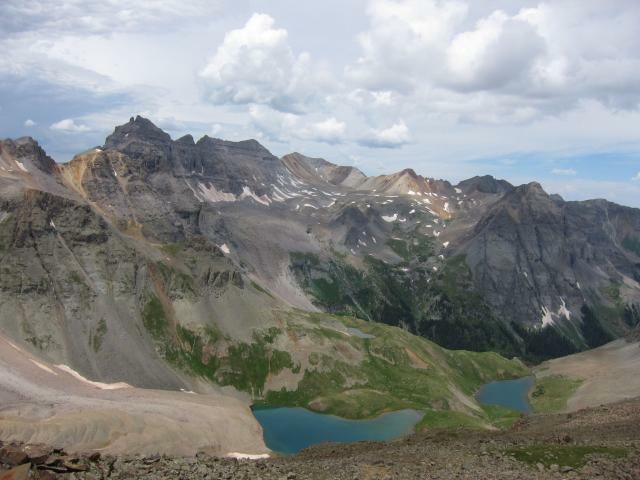 Our destination was to hike to Blue Lakes Pass so that I could scout out the route up Mount Sneffels along the way for a future hike/climb. Out of the Heat & Into the Mountains! With temperatures over 100 degrees in Grand Junction this weekend, we headed up into the mountains for some cooler temperatures. 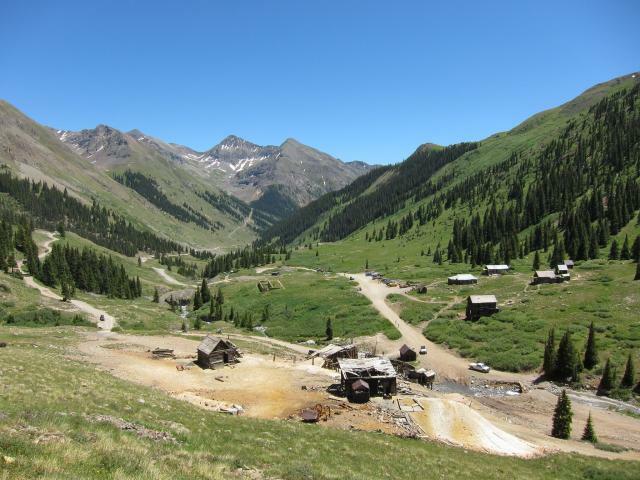 We made our way south to Silverton before heading over Stony Pass. 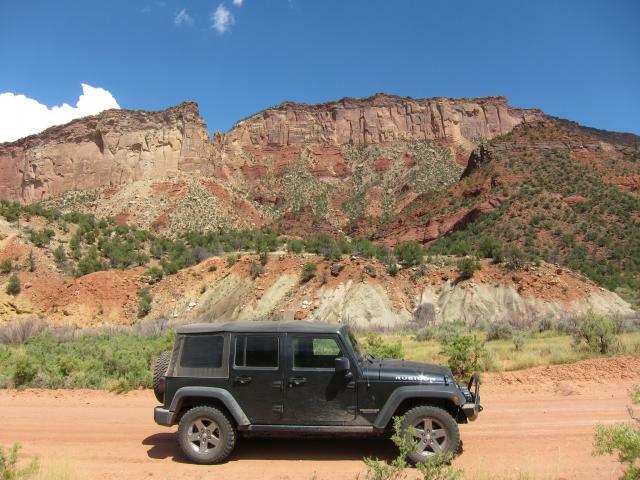 After stopping to find a geocache along the small Rio Grande, we headed for Kite Lake. CONTINUE READINGOut of the Heat & Into the Mountains! One of the goals I set for myself this year was to hike a 14er. 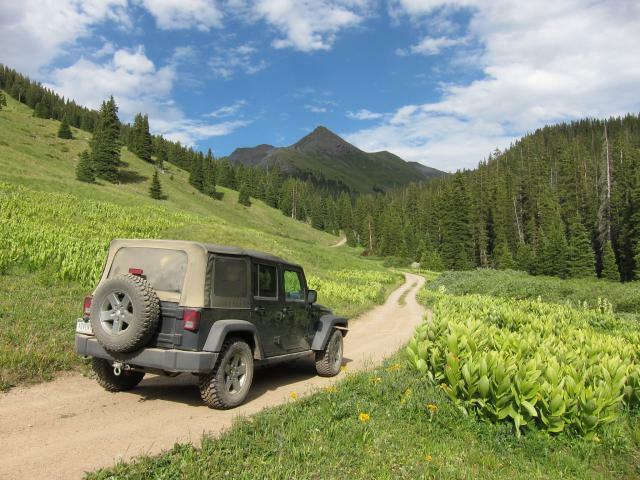 Yesterday morning two friends and I hopped into my Jeep and headed down to the San Juan Mountains to try Handies Peak. 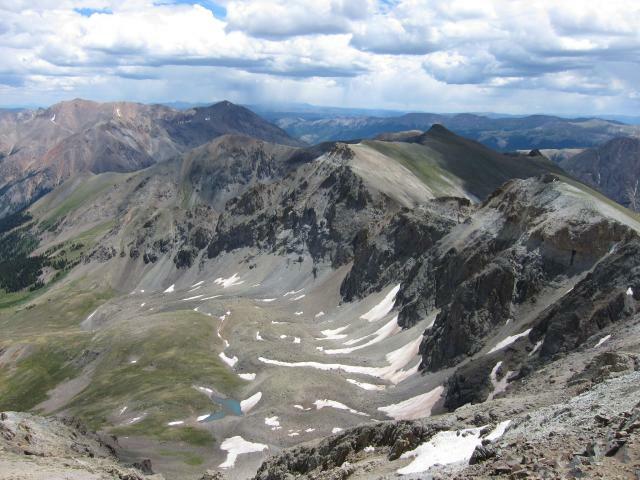 Handies Peak is 14,048 feet high and ranked 40th out of the 53 14ers in Colorado. I chose this mountain because it’s relatively close to home, but mainly because it is one of the easier trails to the top of a 14er. From American Basin the trail is only 5.5 miles round trip with about 2500 feet of elevation gain. Since I had Monday off from work and Amanda had to work I decided to head down to the San Juans for a little day trip. My destination was part of the Alpine Loop and my goals were to find a few geocaches along the way and get a little hiking in.